-- Select a Size/Color -- 70-Count Chews - Out of Stock! 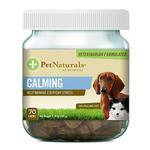 The perfect solution for multi-pet households, our Pet Naturals Calming Chews for Dogs and Cats is specially designed for both dogs and cats to help manage everyday stress and behavioral issues. 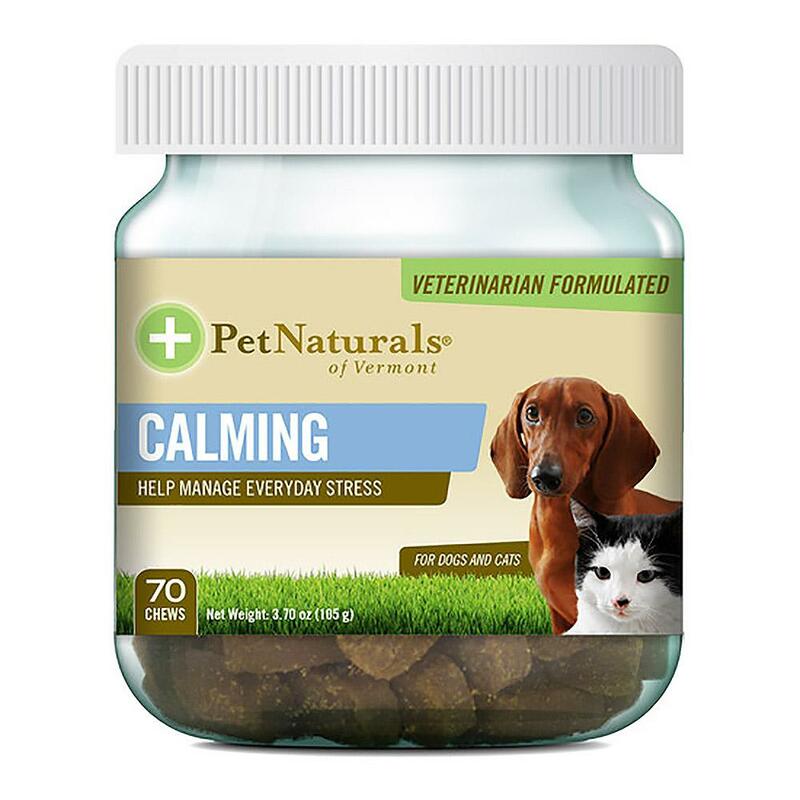 Pet Naturals of Vermont's Calming Chews for dogs and cats contains a combination of ingredients not found in other calming formulas, such as a calming complex from colostrum, L-Theanine (Suntheanine®Brand, and thiamine (Vitamin B1)- all which address stress and calming. 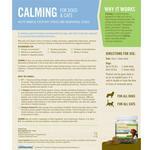 Calming for dogs and cats is the perfect solution for a multi pet household. Perfect for using for pets that don't travel well, for visits to the groomers or vet's office, for when strangers are visiting, or during storms or fireworks. Cats: Give 1 chew daily. Dogs: Up to 50 lbs: 1 chew daily. Over 50 lbs: 2 chews daily. Product can be given daily or on an as-needed basis. It is safe to double or triple the dose in times of increased stress. Inactive Ingredients: Brewers yeast, calcium sulfate, canola oil, chicken liver flavor, citric acid, glycerin, maltodextrin, mixed tocopherols, propionic acid, rosemary extract, silicon dioxide, sodium alginate, soy lecithin, vegetable oil. Great selection but wish there were a bit more options and the shipping fee is a little high.